Staying at Treworgey Manor puts you in the perfect position to explore all Cornwall has to offer. The moors are on your doorstep and the beaches only 8 miles away across the rolling countryside. 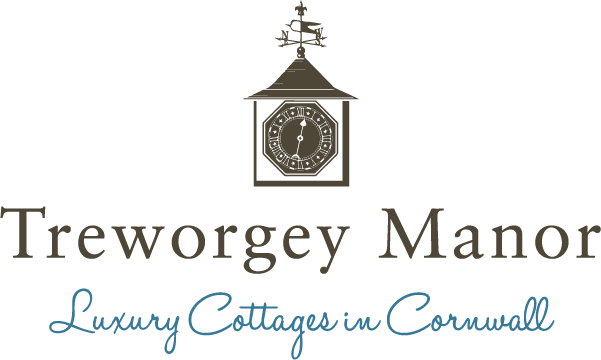 Below is an extensive list of things to do nearby and within easy reach of Treworgey Manor. 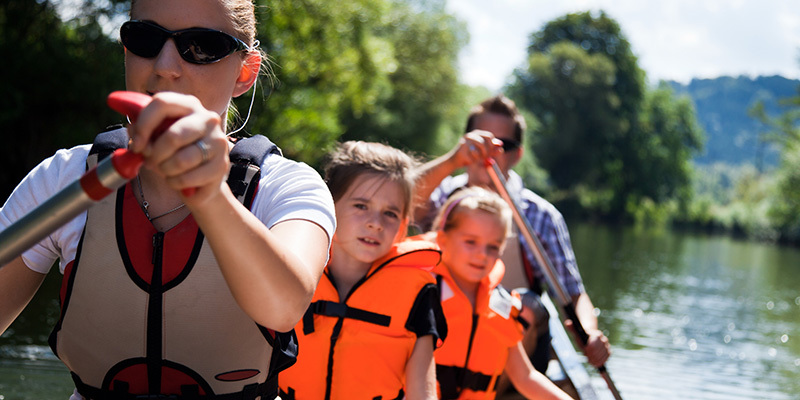 There is a wide range of sports, activities and exciting days out in Cornwall and Devon, including Siblyback Lake Waterpark on nearby Bodmin Moor. This is a great place to bring your dog, and it offers a broad spectrum of activities for all ages including: windsurfing, dinghy sailing, kayaking, wakeboarding, rowing, walking, fishing and birdwatching, and try Segway – electric scooter experiences. Trax & Trails off road driving — This 4×4 off road driving experience is located 30 minutes drive from Treworgey Manor. In addition to driving over the Cornish countryside you can also try your hand at archery and clay pigeon shooting. South West Coast Path – 630 miles of glorious views along the South West Coastal Path – walks for all levels and a good list of pubs to aim for and quench your thirst after the walk. The Camel Trail – A well loved and enjoyable route, the Camel trail is fairly flat for cyclists and walkers of this old railway line. 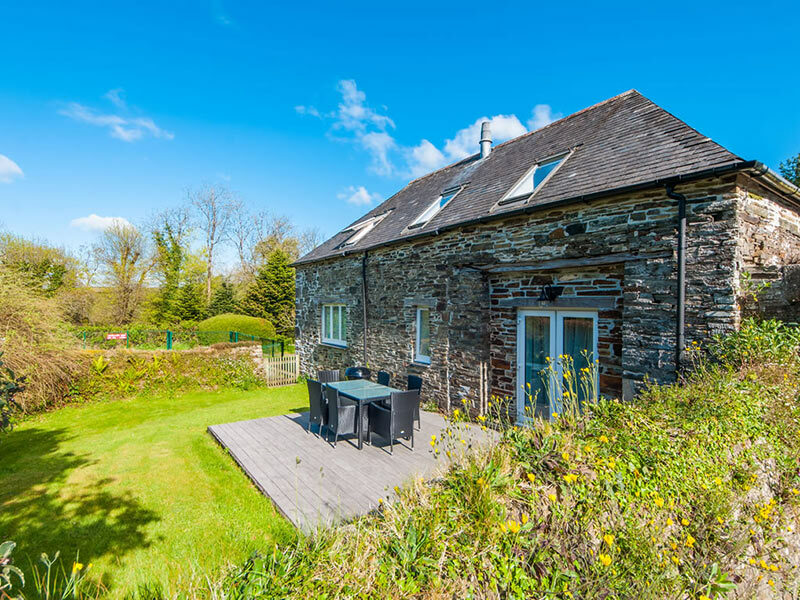 Gorgeous green leafy scenery extends either side from Padstow to Wadebridge as well as through the wooded Camel Valley (wine tasting area!) to Bodmin. Bike hire is easily available at Wadebridge, advisable to book in high season. Looe Golf Club – This golf club has an excellent friendly reputation and was designed by six times Open champion, Harry Vardon. 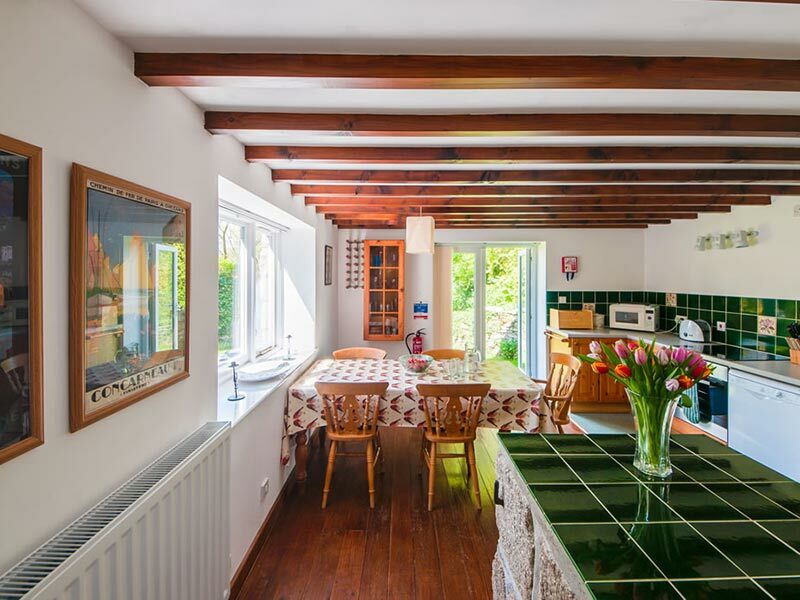 Situated in a stunning setting with wonderful views of the Tamar Estuary, Dartmoor peaks and Cornish moorland. St Mellion – Providing both leisure facilities, an internationally renowned golf course designed by Jack Nicklaus, luxury spa facilities and fine 2 AA Rosette dining. 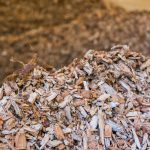 Lower Tokenbury Equestrian Centre – All visitors to Cornwall are welcome, with a variety of types of rides across Bodmin Moor, through woodland, farmland or quiet country lanes. Lessons available for all ages and abilities. Polmartin Riding Equestrain – A high standard of horses and training is provided at these well-kept stables. All kinds of lessons and rides are available with all riding in rural area, set on 60 acres of farmland. Polmartin’s panoramic views of the Cornish landscape on horseback are marvellous all year round. T.M. International School of Horsemanship – This is a caring school where the pupils are well taught and looked after. 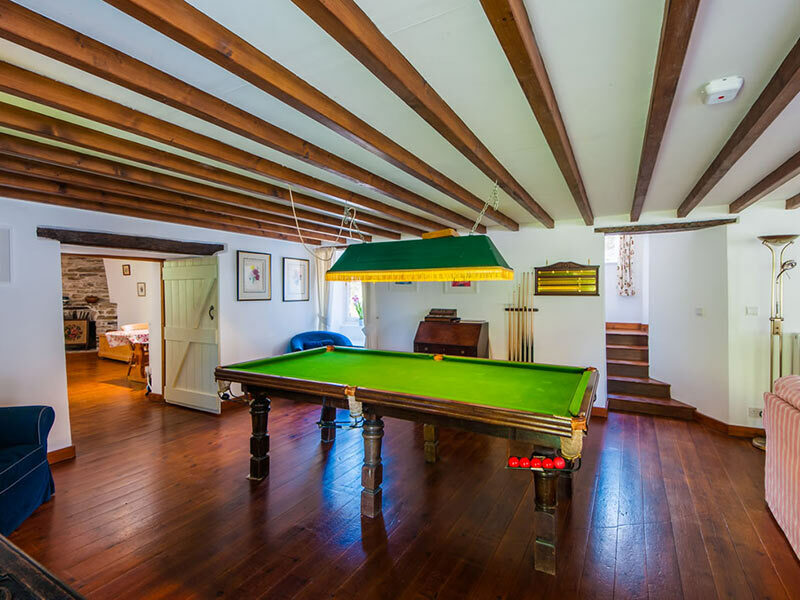 Based near Liskeard in the heart of one of England’s most unspoilt landscapes – a great place to hack across over the moors and enjoy the wildlife and picturesque surroundings. Bake Lakes – Bake Lakes offers a wide variety of high quality angling opportunities and experiences for experts or beginners alike, peaceful countryside and home to rare dragonflies, a variety of birds and mammals to enjoy whilst you wait for ‘the big one’. If you fancy adventuring out on a Boat Trip, there are many options – the Looe Directory lists some of the companies that run this excursion usually from March through to October, great to see what is underneath us. Zipwire, Coasteering and The Blob! – At Adrenalin Quarry you are certainly in for a day of highly active, full-on fun – not for the faint hearted! Go Karting and Track racing can also be enjoyed by children and adults, 2 sized engines depending on your age – check out Kartworld for times and prices. Trethorne Leisure Park – On either a rainy day or day of warm sunshine Trethorne caters for all, reasonably priced for a family entry and only 30 minutes from Treworgey. The children will love feeding all the animals, huge soft play and ball pool complex, giant drop slides, trampolines, ten pin bowling and a café or bar next door for the adults! Cardinham Woods – A popular location for cyclists, dog walkers and horse riders, the forestry Commission have now marked out clear routes for whichever mode you are using – make sure you check the website for trail closure times during felling season. The Woods Cafe sells homemade food with a fun wooden play area which younger children enjoy. Rick Stein’s – ‘The Seafood Restaurant’ in Padstow, North Cornwall – also has other bistros and cafés under his umbrella. Langmans Restaurant, Callington – 2 AA Rosette – A great gourmet experience in Cornwall, from the aptly named Anton Buttery. 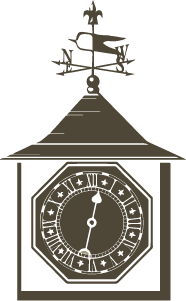 The Horn of Plenty Nr Tavistock, Devon, – Luxury country house hotel, sumptious surroundings and excellent standard of food. 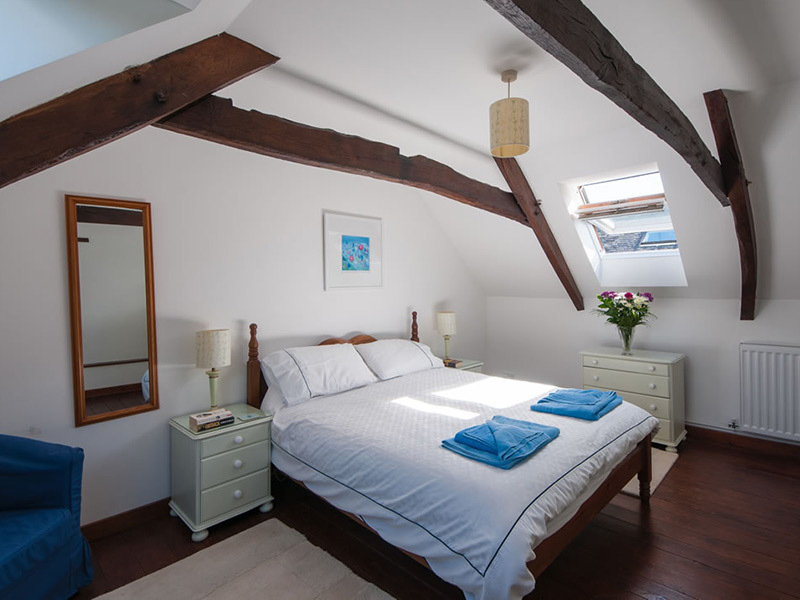 The Old Sail Loft – One of the oldest buildings in Looe, The Old Sail Loft is an atmospheric traditional restaurant. Plymouth really has raised its game and has recently been named ‘the UK’s new gourmet hotspot’ by Conde Nast Traveller magazine, catering for both fine dining and fun family meals out. For information about various food festivals and details visit Plymouth eateries. Also well worth exploring in Plymouth is the Royal William Yard – this whole area has been refurbished and now boasts Hugh’s River Cottage, Wagaamma’s and the well rated Bistrot Pierre. The south coast of Cornwall may not be as well known as the North Cornwall locations – Newquay, Bude, Polzeath & Constantine are all renowned for their surfing form, however within half an hour you can be on the south coast beaches. Whitsand and Tregantle are most visited by surfers. Click the link for more info about Cornish beaches. 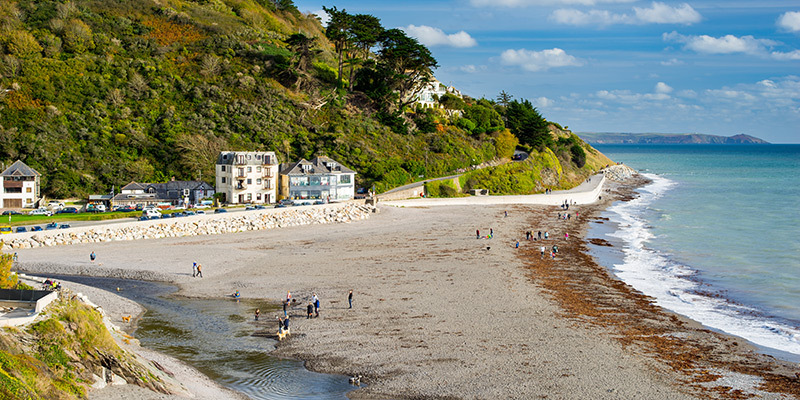 Looe beach is the closest distance from Treworgey Manor (20 minutes) and in summer has activities for children on the beach — no dogs allowed all year round. Seaton Beach – Easily accessed and there is a popular cafe located on the beach, pub, bistro, shop and playground. You can enjoy a walk along the beach joining up to Downderry where there is an excellent pub, ‘The Inn on the Shore’ or the highly rated Blue Plate restaurant. Par Sands Beach – A sandy beach, usually fairly quiet, stretching over half a mile with sand dunes in a peaceful setting, located close to the Eden Project, (2 miles), Charlestown – think Poldark! (2 miles) and The Lost Gardens of Heligan (7 miles) – definitely worth a visit. If you require some retail therapy after all the activities or relaxation at Treworgey then you can head to a several different locations. Plymouth and Truro are the two main city shopping locations – Truro has a delightful array of shops and Plymouth’s mall Drake’s Circus has 3 floors of all the main high street brands & various well known food companies. Truro – Lots going on in this city and is apparently the retail centre of Cornwall, a great range of independent shops, Hall for Cornwall for music and theatre events, the impressive Cathedral and the Royal Cornwall museum. Tavistock & Liskeard are market towns, they boast enjoyable weekly markets with local produce, antiques shops & some pleasant cafes. The closest supermarket is a large Morrisons, however there are many smaller shops (co-ops, Spar shop, etc). There is also an Aldi in Liskeard now, and the Sainsburys in Bodmin (10 miles) should deliver to Treworgey. Nearby at Upton Cross is the award-winning Cornish Cheese Company — handmade and locally produced in Bodmin, well worth a tasting session! Plymouth – As previously mentioned Plymouth is an ever improving city, the Shopping mall is useful and well frequented, however if you fancy delving deeper there is much more to explore from a historical point of view. The Barbican is infamous for being the place where the pilgrim ship the ‘Mayflower’ sailed from in 1620 on its epic journey to the New World. 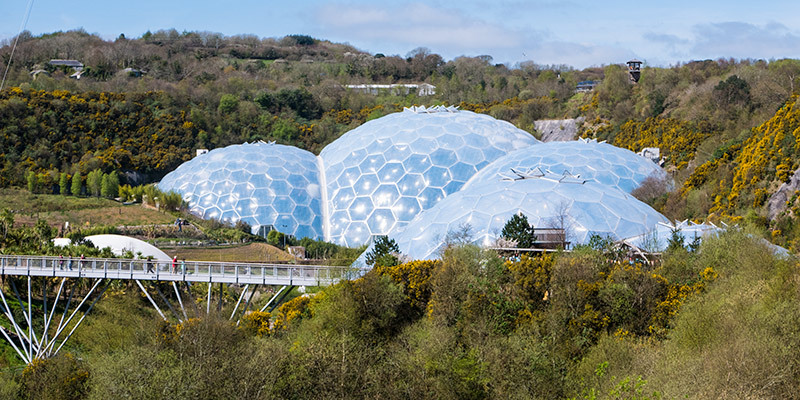 The Eden Project: From its futuristic biomes, Rainforest Aerial walkway, zip wire, ice-skating, music events and environmental awareness centre, definitely something for everyone, such a great space, adding to its attractions each year. Carnglaze Caverns: Visit this former slate mine, part of the Cornish Mining World Heritage site, picturesque woodland walk, caves to explore and some memorable concerts held in this unique venue. Looe and Polperro: Both popular South Cornwall fishing harbours. Looe has a sandy beach, various clothes and gift shops. Most popular activity in summer is crabbing! You can also go on exciting shark fishing trips. Around the coast is nearby Polperro this is a attractive spot to visit with lots of galleries and some great pubs. The Blue Peter Inn is especially lively and full of Cornish charm. Restormel Castle: Lostwithiel’s 13th-century circular shell-keep, now just a ruin, but a lovely spot for a picnic or historical exploration. Crealy Adventure Park: Theme Rides & attractions – a whole day out near Wadebridge, lots of indoor and outdoor fun. Dairyland Farm World: 30 minutes away from Treworgey – Animals to feed, indoor play area, pony rides. Farm fun and frolics for all weathers. Tamar Valley Donkey Park: Relaxed environment with lots of animals roaming around and indoor play area with Cornwall’s happiest donkeys, younger children will enjoy it. Porfell Wildlife Park and Animal Sanctuary: Get up close and personal to lots of different Monkeys, and Meercats at Cornwall’s largest exotic animal sanctuary. The Monkey Sanctuary: Small & friendly environment, rescue of pet-trade monkeys, with award-winning cafe and gift shop. Newquay Zoo: Where the animals are well cared for — get up close to animals from all around the world. Launceston Steam Railway: Five-mile round trip along the old North Cornwall Railway, award-winning. Bodmin and Wenford Railway : Cornwall’s only full-size railway still operated by steam locomotives. The Blue Reef Aquarium: Daily talks and feeds are held at the Aquarium, with an interactive information centre, located on the north coast in Newquay. Bodmin Jail: Museum and heritage centre, historical, spooky and some great home cooked, freshly prepared food. Jamaica Inn: Legendary moorland Inn made famous by Daphne du Maurier, Historical Smugglers museum.